Alter The Press! 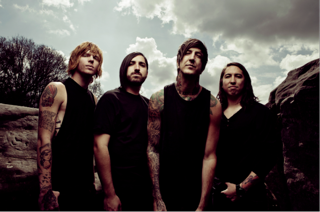 : Austin Carlile (Of Mice & Men): "Heart Surgery Changed My Life"
Austin Carlile (Of Mice & Men): "Heart Surgery Changed My Life"
Of Mice & Men frontman Austin Carlile opened up in a recent interview with PureVolume about how having heart surgery changed his life. You can read an excerpt from the feature by clicking read more. "PV: How did your surgery change your outlook on life? AC: It changed my entire world, man. My heart was out of my chest on ice for two hours—I was being pumped full of somebody else’s blood. I woke up with more tubes in me than Neo in The Matrix in that first scene where he’s reborn. It just made me see how precious life is all over again because even though the technology today is good there was still a 30- or 40-percent chance that I wouldn’t survive the surgery."